Energy balance, efficiency, sustainability, and so on, are some of many facets of energy challenges covered in current research. However, there has not been a monograph that directly covers a spectrum of materials issues in the context of energy conversion, harvesting and storage. Addressing one of the most pressing problems of our time, Materials in Energy Conversion, Harvesting, and Storage illuminates the roles and performance requirements of materials in energy and demonstrates why energy materials are as critical and far-reaching as energy itself. 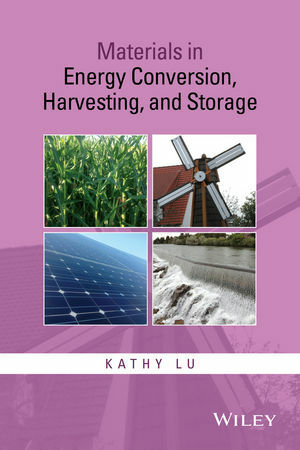 Each chapter starts out by explaining the role of a specific energy process in today’s energy landscape, followed by explanation of the fundamental energy conversion, harvesting, and storage processes. Throughout the book, illustrations and images clarify and simplify core concepts, techniques, and processes. References at the end of each chapter serve as a gateway to the primary literature in the field. All chapters are self-contained units, enabling instructors to easily adapt this book for coursework. This book is suitable for students and professors in science and engineering who look to obtain comprehensive understanding of different energy processes and materials issues. In setting forth the latest advances and new frontiers of research, experienced materials researchers and engineers can utilize it as a comprehensive energy material reference book.